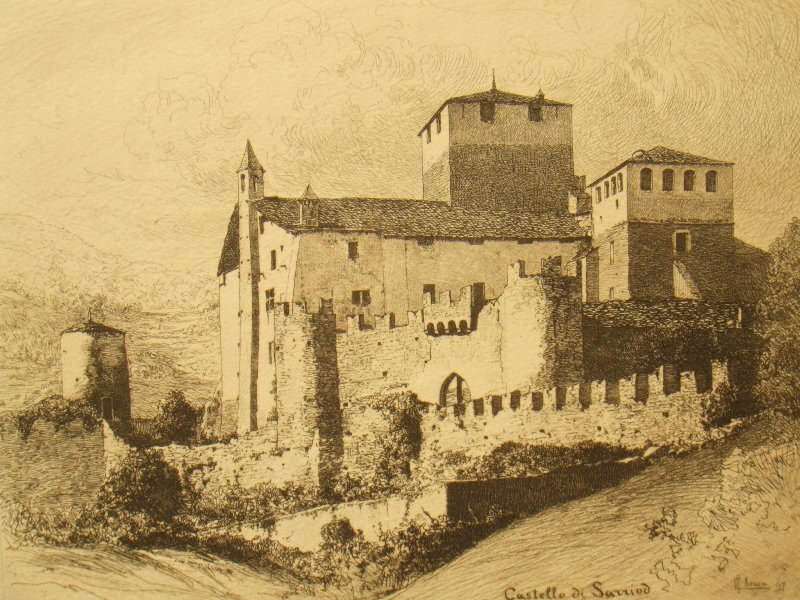 Sarriod Castle, known locally as Sarriod de la Tour is a medieval fortress, situated in the Aosta Valley, in Saint Pierre, Italy. 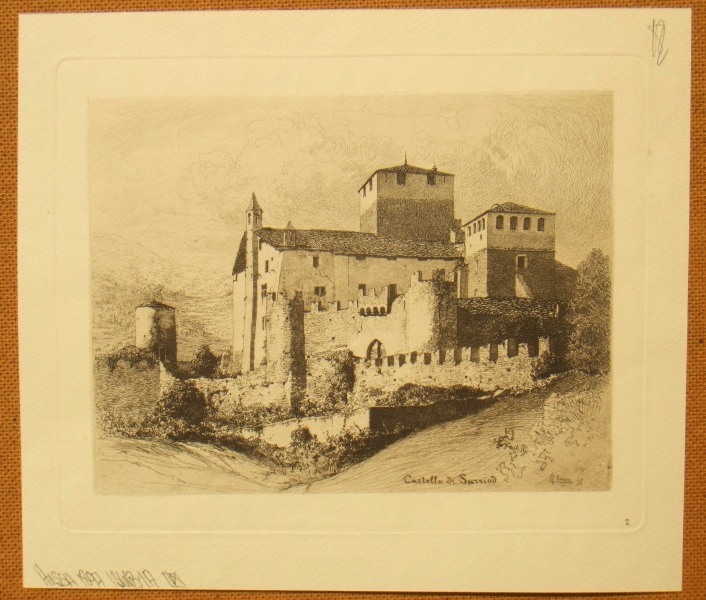 Carlo Chessa (Cagliari 1855 - Turin 1912), painter and etcher, father of the painter Luigi, who founded the 'Sei pittori di Torino'. 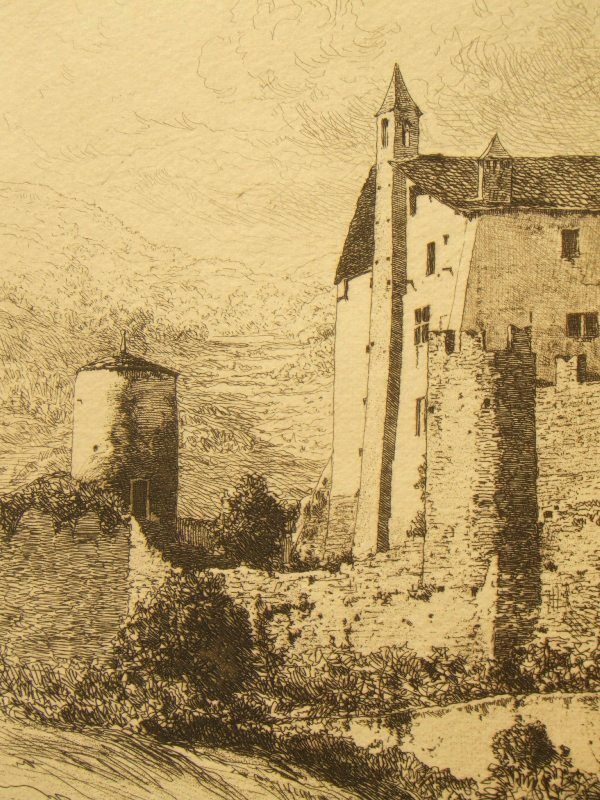 Pupil of Vincenzo Loffredo, thought to have learned the technique of engraving by Raffaele Arui. 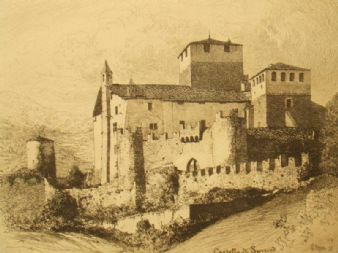 He worked in Sardinia until 1879 at the Lithography Social Dessì, and then moved to Turin, where he was a pupil of E. Gamba at the Academy Albertini. 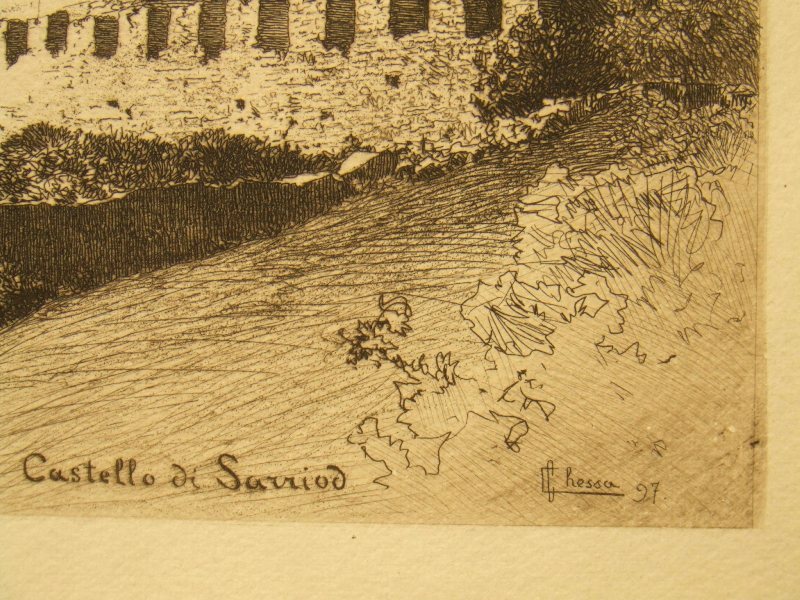 Produced engravings for the Illustrazione Italiana and the Pasquino.